This particular Saturday started with showers all around. It was a tough choice to decide between lazing the afternoon with family in the couch vs driving couple of hours and taking a hike. With the rain, it was tempting to decide to stay at home, especially since it involved a hike. ClearOutside showed a small break in weather for the late afternoon. Am glad I gambled to take the risk, at the end it really paid off :) Though I did get wet, the rain added to the volume of the cascade and the rolling fog made the day ! 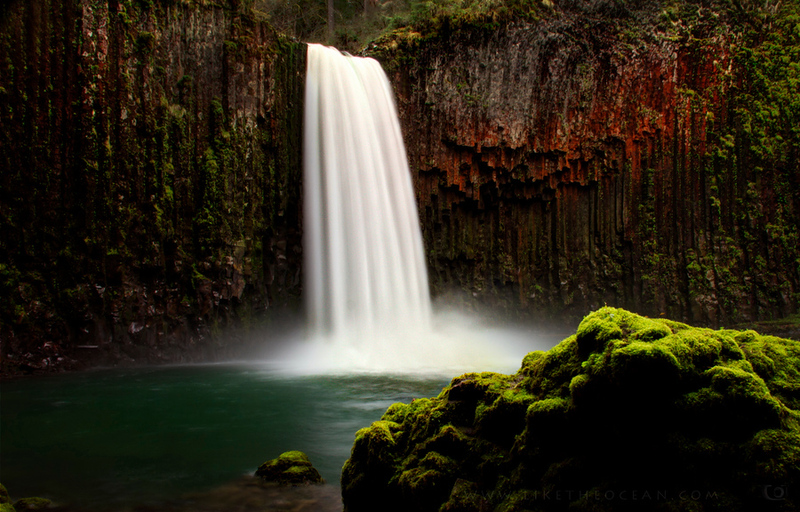 Proxy Falls is one of the most frequently photographed waterfalls in Oregon. It most certainly is once of the most photogenic waterfalls. But being surrounded by the lush forest and given its height, it is a bit tricky to photograph the same. As most of the PNW, getting to the spot is a major part of the experience. The trail goes over an old lava flow, then entering a mixed confer forest. From the end of the trail, the falls are viewed through a natural channel in the thick surrounding forest. 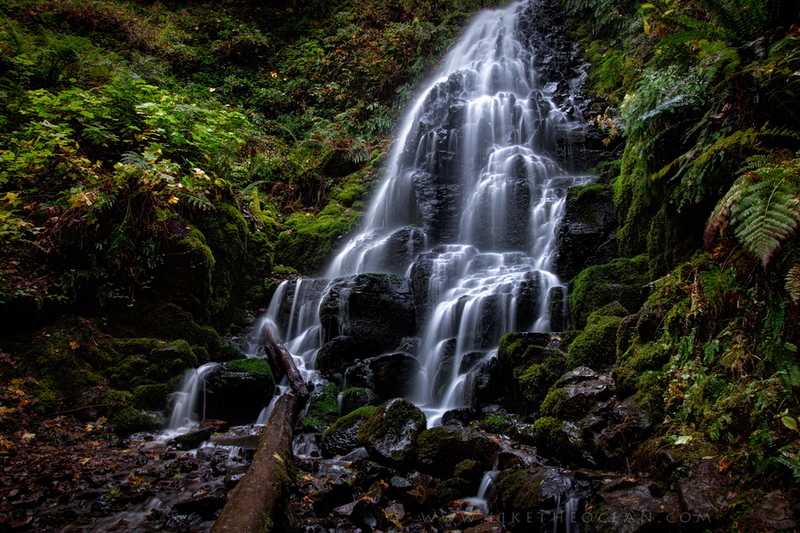 Proxy Falls is created as the Proxy Creek breaks over a high wall of basalt, which is adorned by mosses. At a height of 226 feet, the two streams that flow down is a sight to behold. This is my attempt to capture the falls with all its surroundings and the majestic mood ! Eagle Creek Trail is just gorgeous and magical. The round trip hike to Tunnel Falls is 12 miles, but it is definitely worth even to hike up just to Punch Bowl (round trip ~ 3.4 miles). 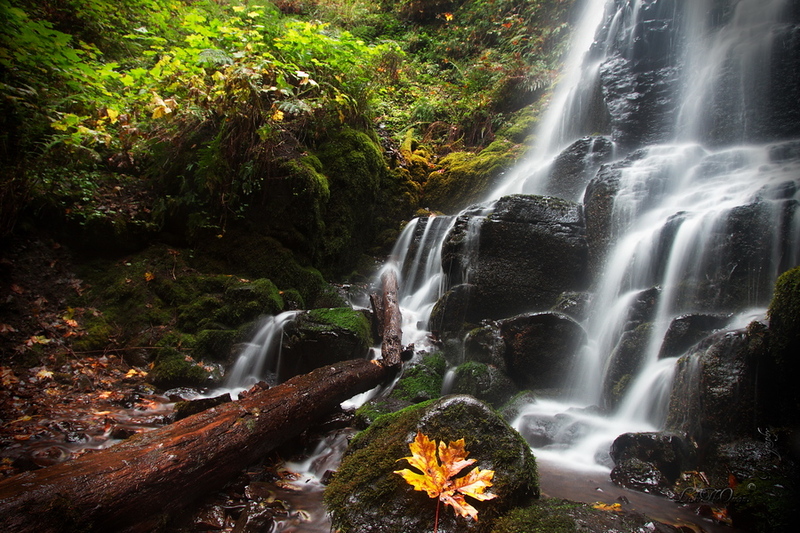 A stop off at 1.5 miles let you get a peek at the lovely Metlako Falls too. There are a few narrow sections with 500 foot plus drop offs. If you are worried about the height, several have a cable to hold onto on the uphill side. 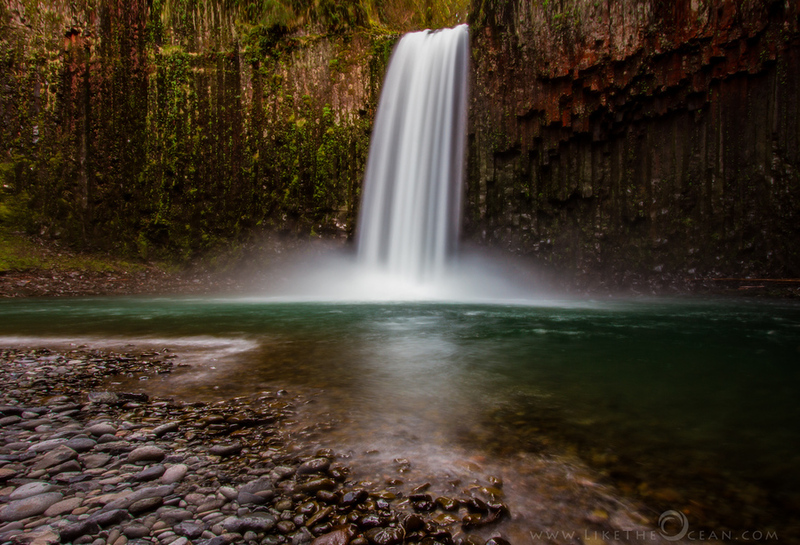 Latourell Falls in the Columbia Gorge is one of my favorite falls. It has a beauty of its own – be it rain or shine. This particular day – along with the rain, the spray from the falls was so much that I could not even get my camera out. Having the falls to myself, I decided to let the camera rest and enjoy the serenity of the scene. Just then these two little guys came in – well equipped – to explore the falls. There was no stopping them be it the rain or the spray from the falls. Many times, adding a human element to landscapes adds beauty and scale. And there are no second thoughts when they happen to be cute kids like these :) I just couldn’t resist … and the rain, as if agreeing with me, stopped for a brief time – letting me capture this lovely moment. How do u like it ?!!! 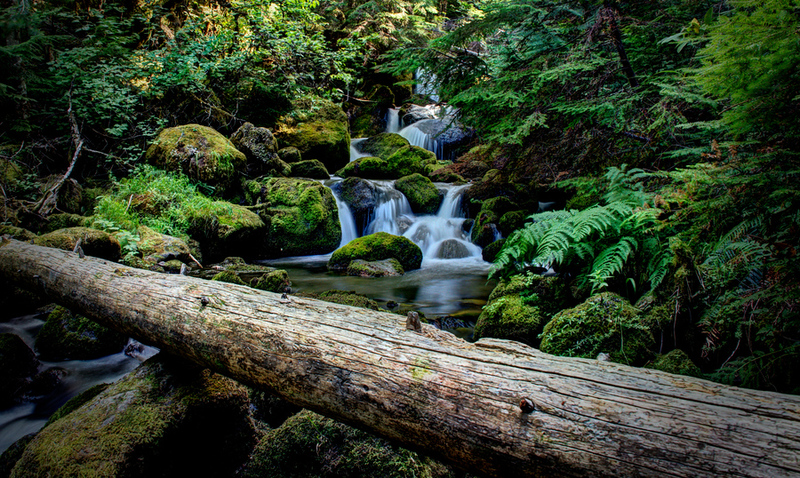 The lovely Lower Lewis waterfall looks more graceful during lower water levels, as it cascades down. Add to it – a dense fog settling down and a bit of fall colors sprinkled here and there … What more can I ask !!! Abiqua Falls – There is something magical about this place. Grandeur is not a feeling you get at less than 100 feet high. The overpowering and humbling feeling is probably from the enclosed canyon like walls covered with lichen and the serene aqua pool that it falls into. Abiqua is all about the journey of getting there – starting from the rugged roads, hike up, some sliding, scrambling under and over the logs , wading thru the water etc. Having such a gem at the end of it is an added bonus :) Check this out for the view from the other side. This had been one of my favorite fun adventure hikes from the pacific north west !!! Light painting is an amazing technique that I came across from my friends at flickr and facebook. It can involve simple light writing with led lights to really complex and creative compositions. For years I had been intrigued by this and tried a few simple ones in the past. One of the techniques involves the use of steel wool and couple of DIY kits. Couple of weeks back when my friend Gary extended an invite for steel wool spinning in the George area, I was all exited ! Last weekend (Aug 18, 2012) – 2.5 days, 500 miles of drive, 5 miles of hiking, one national park, camping in the woods, sleeping under the stars, one broken car charger, one dead mobile by end of 1st day, one dead camera by 2nd – quiet a memorable visit to Mt. Rainier National Park. As I’m going thru and processing the images, wanted to share a happy summer shot from the trip. How can someone compare a 35 foot falls with towering Multnomah Falls at 620 feet. How can such a small falls be treated in par with the Majestic Mt Hood or the iconic crater lake. You should visit the place to really appreciate it. 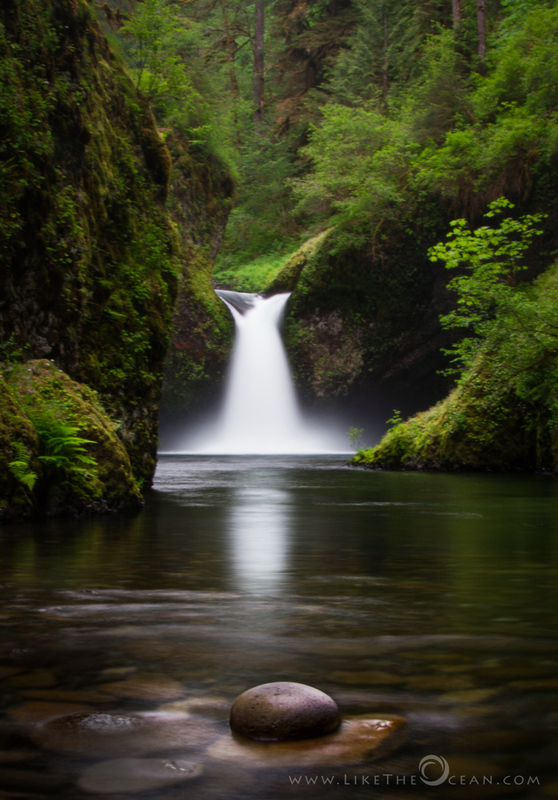 Irrespective of its size, Punchbowl Falls is definitely a classic and iconic Oregon spot. 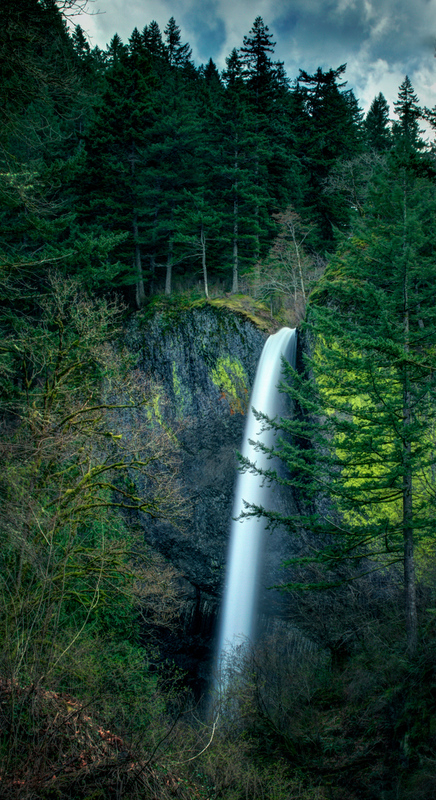 If you have less than a day at Portland and love hiking – Eagle creek Trail definitely tops the list. 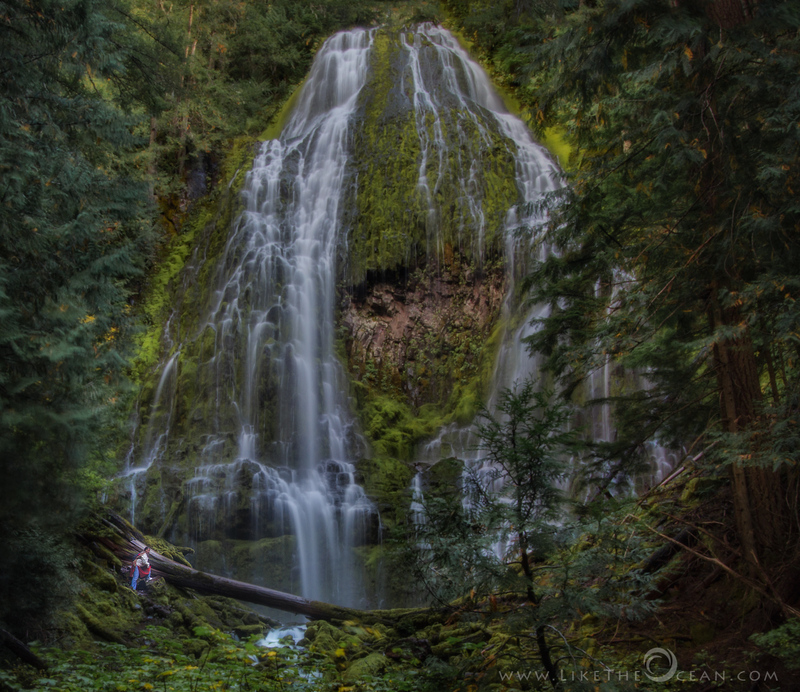 Based on the time and stamina, you can decide to turn back at Punchbowl Falls (round trip –3.8 miles) or continue all the way up to Tunnel Falls (round trip 12 miles). The experience begins from the parking lot as you get started on the trail. The increase in elevation is pretty gradual. The lovely view of the river, the creeks & bridges, narrow trail (at places, just a little more than a feet) and wild flowers (depending on the season) makes the hike such a pleasure. 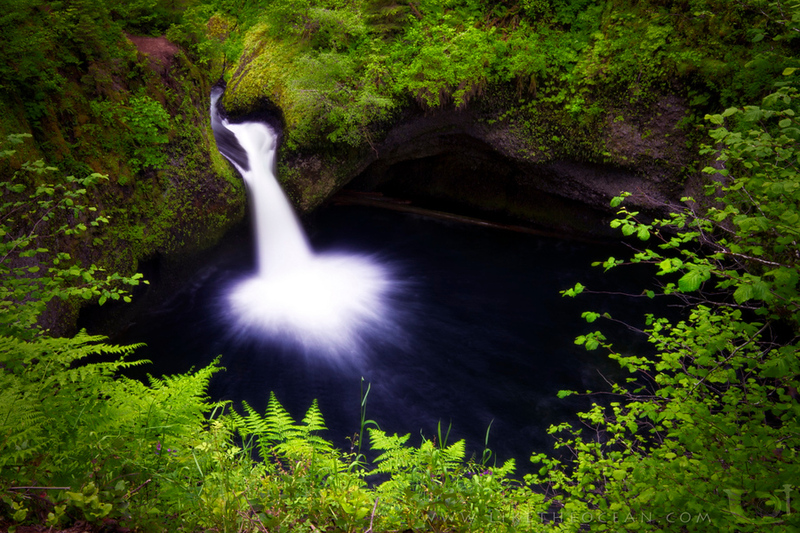 At about 2 miles you will hit the Punch bowl Falls (upper) view point. This view helps admire the force with which water flows, creating the punchbowl. On the contrary, It is definitely worth hiking the extra mile (take diversion at the lower falls trail) to get this tranquil view. 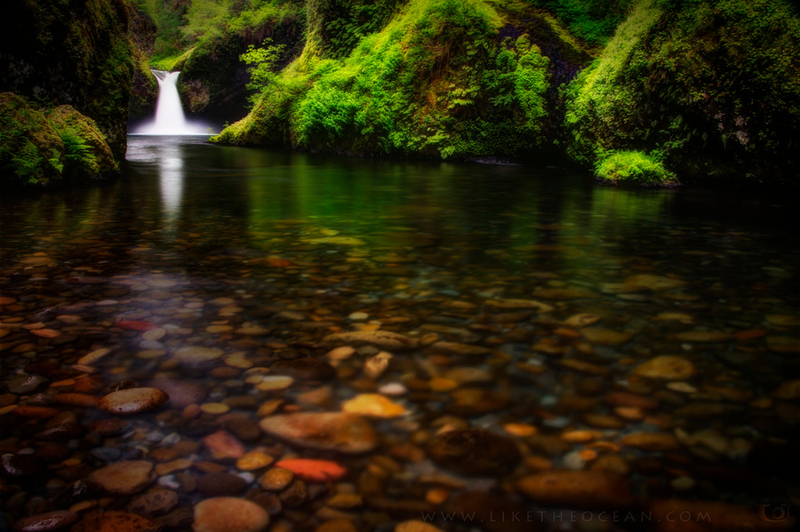 Probably the punchbowl category of falls was defined after this falls at the Eagle creek wilderness, Oregon. The name so aptly fits it. The view point gives a grand view of the punch bowl. Compared to the others in Colombia George like Multnomah or Latourell, this is probably a smaller falls at ~30+ feet. Still it is pretty amazing to see/feel the forces of nature, that has created the punch bowl. Crossing the line is sometimes good ;-) This was shot from the edge of the ledge, just a couple of feet beyond the fenced barricade. 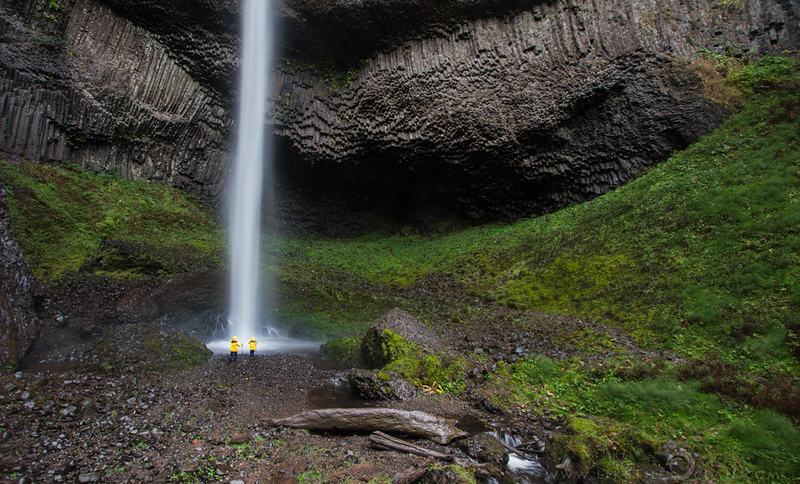 A visit to Abiqua falls is quiet an encompassing experience. 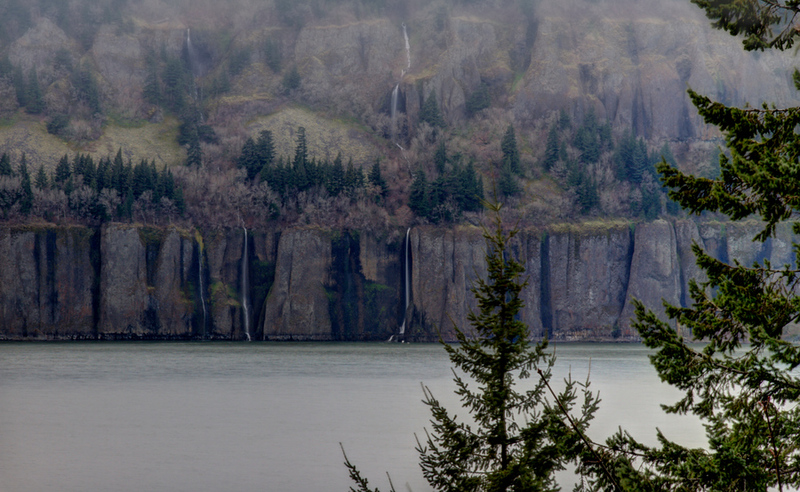 It starts with the leisurely silver falls scenic drive from Silverton. Before you could realize, you are navigating over and down the hilly terrain. Yes an ATV would be awesome, but don’t worry you can manage with any decent passenger car, provided you drive slowly. 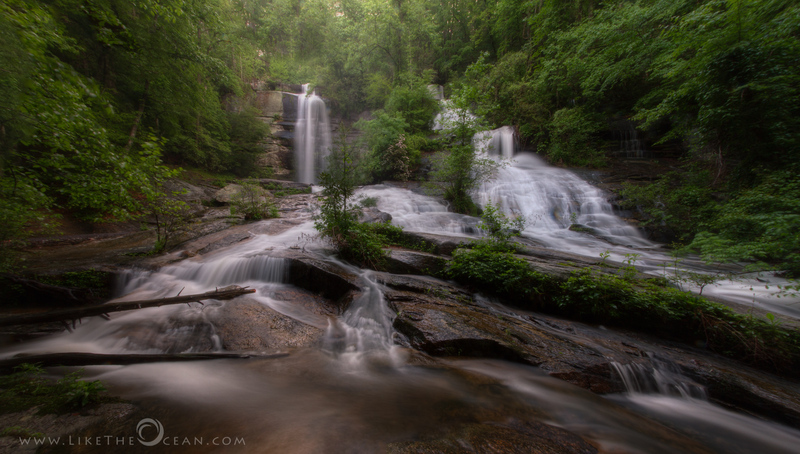 From the parking lot, the walking quickly changes to hike, then a bit of trek, some scramble across the rocks and logs, throw in a bit of sliding, scrambling, dodging the water as you navigate your way based on the falls that you hear at the distance. Falling just at over 100 feet – it is not the biggest of the Oregon falls, but getting the glimpse of this falls after the adventures trek gives a kind of peaceful and serene contentment. It is as if you just entered a different magical world. This weeks I share with you a slice of moment from my visit. The late afternoon sun just lit up the lichen creating the glowing contrast with the falls. One of the best ways to enjoy the Columbia George, at least to begin with, is by car. It gives a feel of the scenic vistas, hikes and the various point of interests spread along the way. This route is historic but definitely never gets old. Depending on the time of the year, the experience is varied. If you are lucky to be around there, just after continuous rain and the start of the spring, when the snow melt adds to it – u can see unnamed falls in literally every corner. This particular afternoon I was presented with the epic scene of multiple falls from across the river. Fortunately I was on the Columbia George scenic route and not the parallel I-84 highway. I was able to pull over, hike up a bit thru the trees to get a better view. Though afternoon, it was still foggy. It appeared heavenly, as the mist was kind of culminating down to the falls. 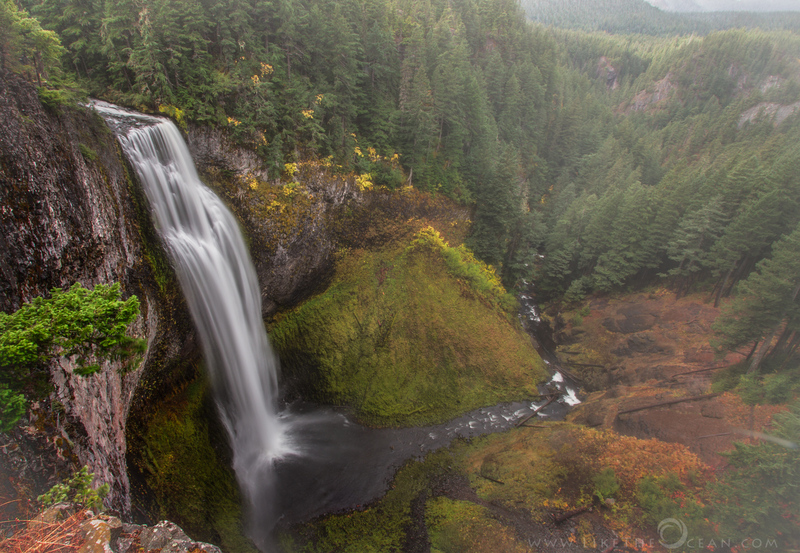 Latourell Falls at the Columbia George is stunningly beautiful, it is also one special place for me. The profile photo that I use online was shot here, by my wife. It was not a planned shot at all, shot just at that moment … some sweet memories. Recently, the seasons definitely are mixed up. We started off spring with snow shower out here in the pacific northwest. And after couple of days of rain & snow, it was supposed to be a clear for the weekend. It was kind of overcast, but the sun did peep out at times with a crack of blue sky. Given the snow melt and the rain, the falls were roaring, literally spraying water within ~50+ feet off its base. Generally I have shot this falls from the base – but today I was neither prepared, nor was I in any mood to get drenched. But I was glad I decided to shoot from the highway. The mix of the weather and the afternoon sun enhanced the yellow colored lichen cliff walls and the foliage. Including the bit blue sky helped capture the mood of the day – as I experienced – for you to enjoy ! Have a nice weekend. Silver Falls state park that houses the famous Trail of Ten Falls is the largest of the Oregon State Parks. 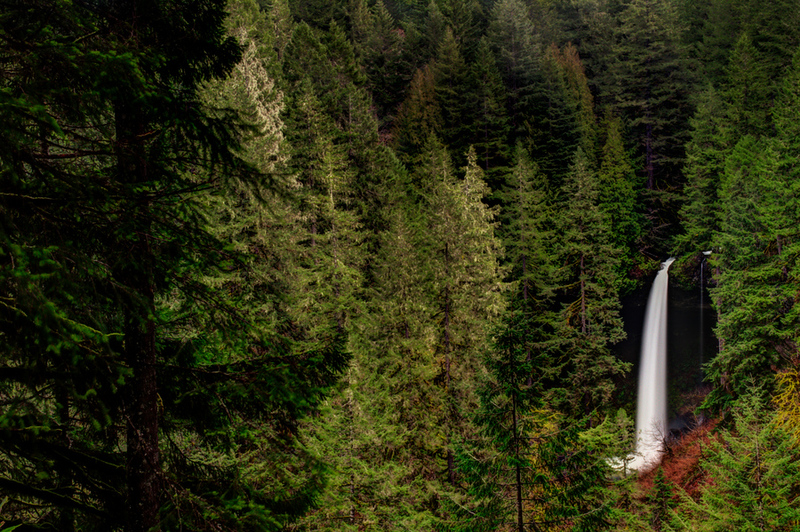 If it is the home of handful of gorgeous waterfalls, it has to be large, right. This forest area, by virtue of almost 80 inches annual rainfall is part of the rarely occurring temperate rainforests of the coastal pacific northwest. Though it was almost afternoon, the overcast sky and the still passing fog helped capture the amazing light and the milky waterfall. Circular polarizer along with ND4 (Neutral Density) aided in capturing the multitudes of greens. Though the scene itself looks remote, dense and deep in the jungles (if I may call so) this North falls can be enjoyed right from the car as you drive to the South Falls where the Trail of Ten Falls actually begins. This is one of the amazing falls @ 2-3 hrs drive from Bangalore. There are different names around this falls like Bluff, Shivanasamudram, Shivasamudram, Gaganachukki, Bharachukki. Mother Kaveri splits into two major branches creating Gaganachukki and Bharachukki falls. The below is that of Bharachukki , few kilometers to the south-west of the Gaganachukki falls. Even here, the falls is huge (roughly with a width of 850 mts). 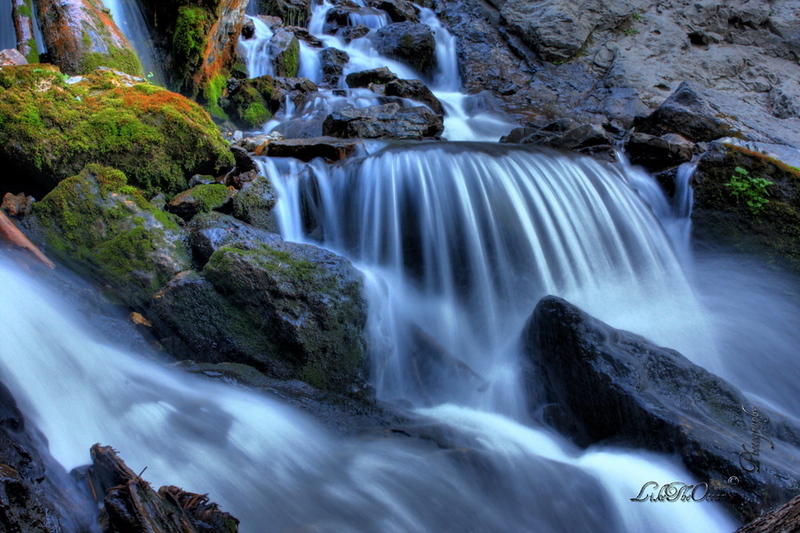 It is a beautiful panoramic view and with the full flow one can find different kinds of smaller falls. Like Jog falls, not sure if each of these have their own names :). The center falls is very different in that it creates different levels before flowing and continuing down . To its left are couple of beautiful ones [not with too much of water] and lends itself for longer exposures even during early evenings (as it would be in shade :) ). Onto the right, the rock formation tends to create multiple stepped falls with the right amount of water [will post this some time in future !!!] . Some suggest to get to the falls before noon as the light would directly be falling on the falls. But for me it is always the dreamy effect and the dusk light that creates the magic. Its worth checking out the larger versions by clicking on the below image. It is also significant to note that the Asia’s fist hydro electric project was started here in the beginning of the century(1902).